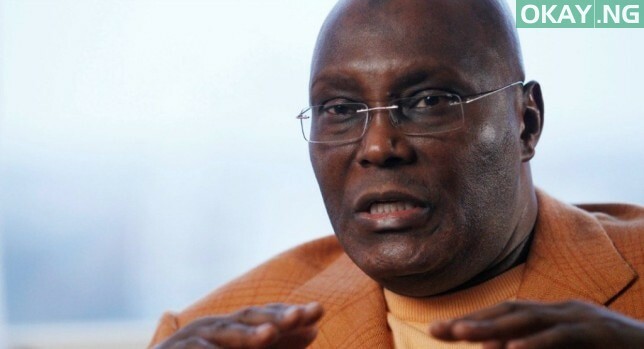 The All Progressive Congress (APC) have declared at the election tribunal sitting on Friday that Atiku Abubakar, the candidate of the People’s Democratic Party (PDP), is not a Nigerian. The ruling party claimed that Atiku is Cameroonian and not qualified to be the president of Nigeria. Okay Nigeria recalls that Atiku had in his petition with reference number: CA/PEPC/002/2019 faulted the conduct of the February 23 Presidential Election on the ground of non-compliance with relevance electoral laws and other malpractices such as intimidation of voters, the unlawful arrest of his sympathizers and the harassment by soldiers and other law enforcement of those wishing to vote for him. APC in a reply to the petition filed by Atiku and PDP prayed that tribunal should declared Muhammadu Buhari as the authentic winner of the 2019 presidential election. Lateef Fagbemi, the lead counsel of the APC, said Atiku shouldn’t have contested for the election on ground that he was Cameroonian. He further stated that Atiku was born on November 25, 1946, in Jada, Adamawa, in Northern Cameroon and is, therefore, a citizen of Cameroon. The APC then went down memory lane saying that Cameroon was being administered by Germany and that following the defeat of Germany in World War 1, which end d in 1918, Cameroon became part of a League of Nations mandate territory which consisted of French Cameroon and British Cameroon in 1919. The party argued that in 1961, a plebiscite was held in British Cameroon to determine whether the people preferred to stay in Cameroon or align with Nigeria. APC continued that, Northern Cameroon preferred a union with Nigeria, Southern Cameroon chose alignment with the mother country and that it was as a result of the plebiscite that Northern Cameroon, which included Adamawa, became a part of Nigeria. The ruling then declared that contrary to the assertion of Atiku in his petition, he (Atiku) had no right to be voted for as a candidate in the election to the office of President of the Federal Republic of Nigeria held on February 23, 2019. APC then maintained that by reason of Atiku not having qualified to contest the election, all votes purportedly cast for him and the PDP in the February 23 election are wasted votes. The party then prayed the tribunal to uphold the victory of its candidate, Muhammadu Buhari, who polled 15,191,347 to emerge the winner and his subsequent declaration as president-elect by INEC while also urging that the petition against the victory should be dismissed for having no cause of action. However, the petition hasn’t got a hearing date yet.